How Do Scientists in Four Different States Work Together? 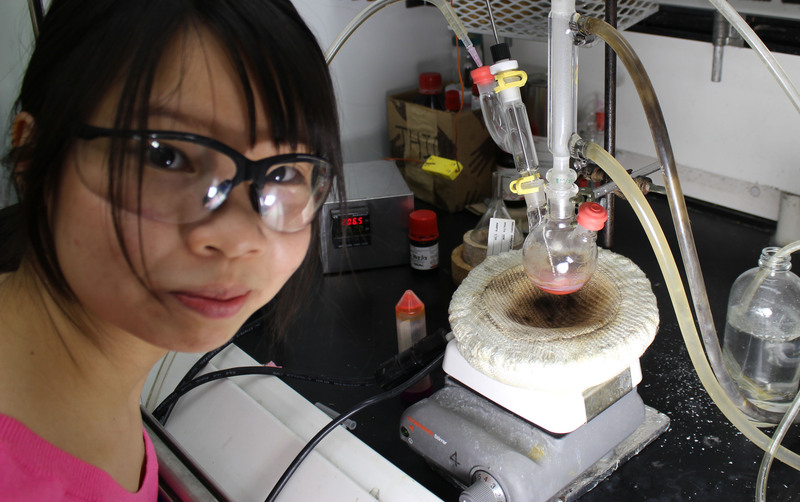 Mimi synthesizing some “quantum dot” nanoparticles. Sometimes it looks like this! We have scientists in Wisconsin, Illinois, Minnesota, and even Washington! Every week we get together for a videoconference to coordinate all the different kinds of research happening here at the Center for Sustainable Nanotechnology. 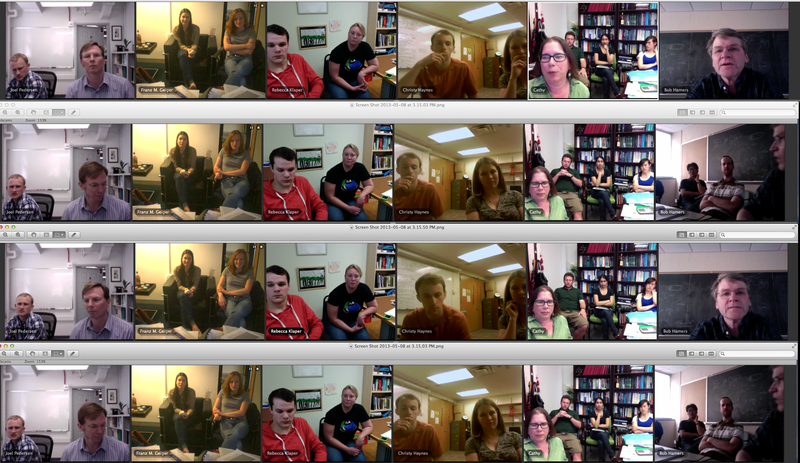 Above is a series of screenshots Franz Geiger took during our meeting yesterday afternoon.